SENSEX is the indicator and benchmark for the stock market of India. The Index capture the movement of the price of the shares. If the SENSEX goes up it means the market is going up, it means that the companies are doing well. If the SENSEX rises, the companies may expect more earning in the future and investors expect better earning from the companies. So we can say that the SENSEX is the measurement of the economy. If the index rises, the economy should also rise. Sensex is not designed scientifically but also accepted by globally. The SENSEX is reported in India and also internationally. The performance of the stock market is quantified by calculating the index. We all are aware that the SENSEX is allied with the "Bombay stock exchange (BSE)" and the NIFTY is linked with the "National stock exchange(NSE)"But the question is how these are calculated. Since 1986,the Sensex has been calculated based on the "total market capitalization"method. In 2003 it was changed to" free-float market capitalization" As per the method of these free-float capitalization, the level of the index reflects the Free-float market value of 30 stocks relative to a base period. Now the question is – WHAT IS FREE FLOAT MARKET CAPITALIZATION? The shares of the company may be held by the investors, government and some shares may hold by the founder of the company or director of the company and also by the FDI's.but the rest of the shares are free for trading are known as a "FREE-FLOAT SHARES" While we calculate SENSEX,We take these free-float shares. Suppose only the 2 stocks are consists as Index i.e. Stock A and Stock B. In which the company X has total 500 shares,100 shares are held by founder, so only 400 shares are for general public to trade and so these 400 shares are known as a "free-floating shares". The company Y has total 1000 shares in, in which the 200 shares are held by the promoters and the rest 800 shares are free-floating shares. Suppose the market price of stock X is 50 and stock Y is 100. The year 1978-79 is considered as the base year of the index with the value of 100.Here we assume that market capital of an index 60000 is equal to an index value of 100. So this is the calculation of SENSEX. So,we can say that the Sensex is the heart of the share market. It is the measurement of the Indian economy. 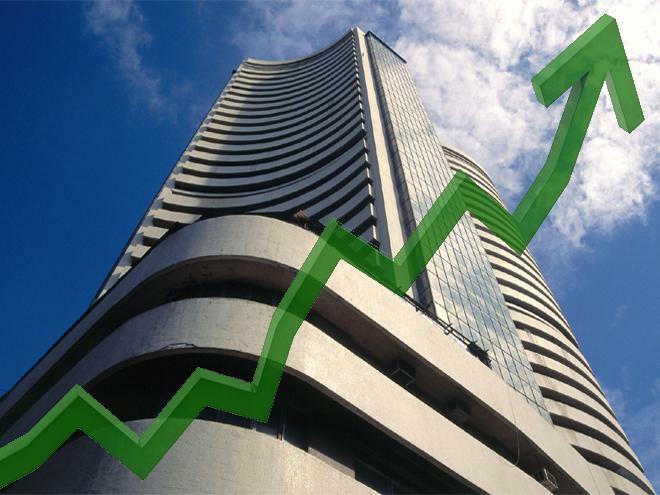 The rise in the Sensex is the good for the economy.